Posted On March 22, 2014 by Team iCynosure. The last few days have been so hectic. First I went crazy deciding whether to move domain or not, then finding answers to a zillion questions and then actually understanding the process and on top of all the technology celebrating my Blogoversary. I'm pretty proud to say I did it myself without any pro-help. Do I have to redirect all my posts individually to the new URL? NO, Blogger automatically redirects all your old posts to the new links using the 301 redirect. For example, the post http://www.icynosureblogspot.in/2013/03/put-yourself-first_18.html automatically redirects to http://www.icynosure.in/2013/03/put-yourself-first_18.html. Will the new URL work with or without 'www'? YES, Ideally the new URL should work both with and without the 'www'. However, if it doesn't, go to Blogger Settings and edit the custom domain name to redirect it to the nak*d domain www.yournewurl.com. Is there any limitation on bandwidth, comments, visitors, etc? NO, There are no limits imposed with a custom domain. Will the switch mess up my SEO? How would search engines find my blog? NO, The 301 redirect ensures that search engines are made aware of the new URL. Traffic may go down for a bit and so would the rankings, however, it will continue to flow and all will be regained in a few weeks. Will I lose my Page Rank and Alexa Rank? YES, As you will be using a brand new domain the ranks will be affected. However, as answered in the previous question you will not lose traffic or search engine traffic which is more important and so the ranks shall be regained in a few weeks. Will my stats be reset to zero? NO, The stats that are displayed on the blog via the stats gadgets (Visitors, Page Views, etc) are not reset, they continue as normal. Will I lose the blog followers after the switch? NO, This refers to all three GFC, G+ and Bloglovin. The followers remain unless there is a problem with the gadget. All my followers have remained, phew am so glad. Will I lose the blog comments after the switch? YES/NO, I have no clue as to why this happens but yes all comments made via G+ commenting platform are lost. However, if you have the regular Blogger commenting platform your comments are all safely visible on the blog. I've been told that G+ comments can be restored... have been implementing those HTML codes, but none seem to be working at the moment. Will update as and when things move on, on this front. Will I lose my Reading (Blog) List? YES, You will lose your blog list once you connect your new domain, so it will be best to save your blog list links so you can quickly add them again. 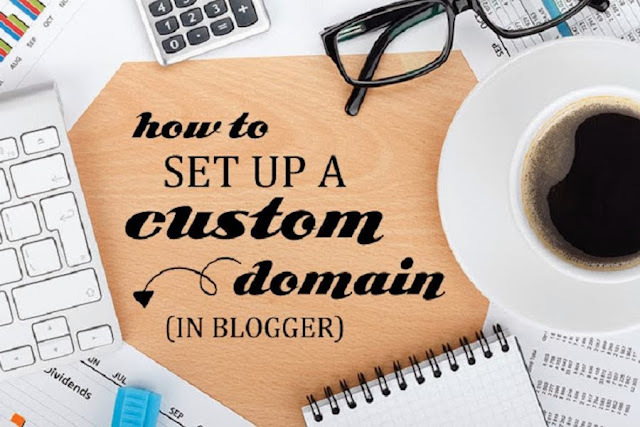 Usually, when you switch to a custom domain it takes about 30 minutes for the same to be connected. During this time, the blogspot address is still active and readers are able to access the same. However, in some cases, the transition takes a longer period too, up to 12 hours. That's it. I really hope that answered many of your questions however, if you have more questions or want to add to one of the responses above, do leave a comment.